For those seeking refined living at the beach, this richly appointed Classic Mediterranean estate will satisfy all expectations! 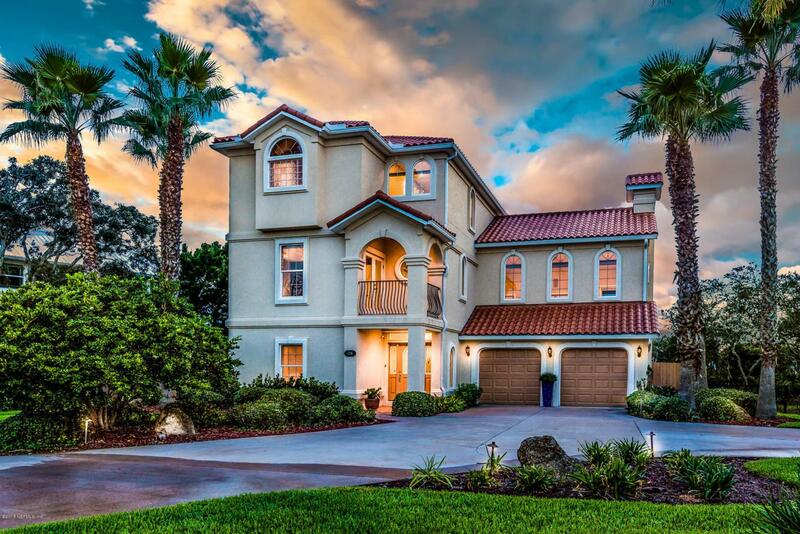 Don't miss this premier marshfront home in Espanita offering 4BR's/3BA's, over 3,400sf, solid 3 story masonry construction built in 06' with tile roof, impact doors/windows, generator and ELEVATOR! The 2 story screened area encloses a crystal blue pool with heated spa, 42X11 covered area, pavers and 2nd floor terrace including a full Summer Kitchen. Truly a Must See!Guests are welcomed by the beautiful foyer at entry - the first floor offers elevator access, 2 generous size rooms with full bath, laundry and storage room and access to the covered lanai. 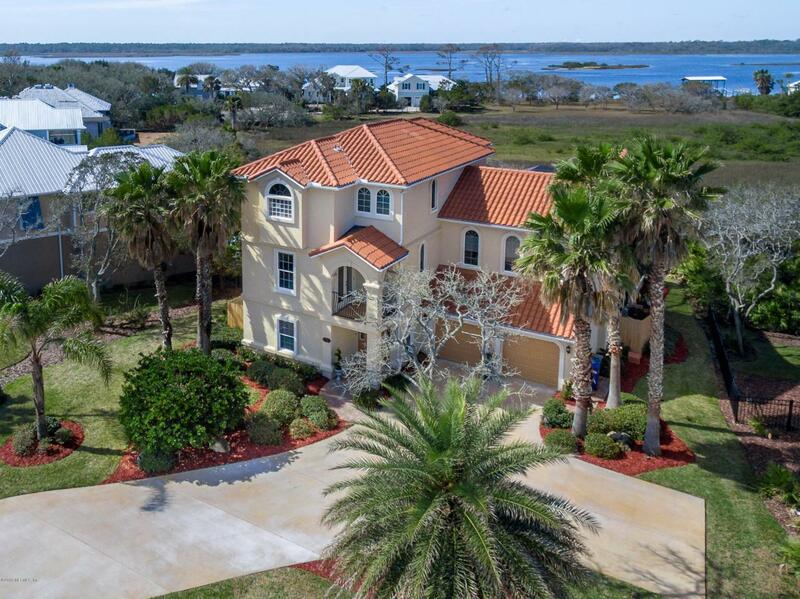 The second level is beyond spacious with an open floor plan, high ceilings, tons of natural light and breathtaking ICW views. The kitchen boasts top of the line SS appliances, solid cabinets, granite tops, large island with seating area, and separate butler's pantry with wine cooler! Master retreat owns the 3rd floor including a separate wet bar outside the room and study area. Also, includes a tray ceiling, 2 walk in's with closet systems, spa like bathroom has separate vanities, soaking tub in the center and dual side walk in shower! Also, off the master a private covered terrace with ICW views - perfect for morning coffee or evening sunsets! The oversized 2 car garage has plenty of storage and workspace with a door to the pool area. Relax next to the outside to the paver fire pit area just off the pool! 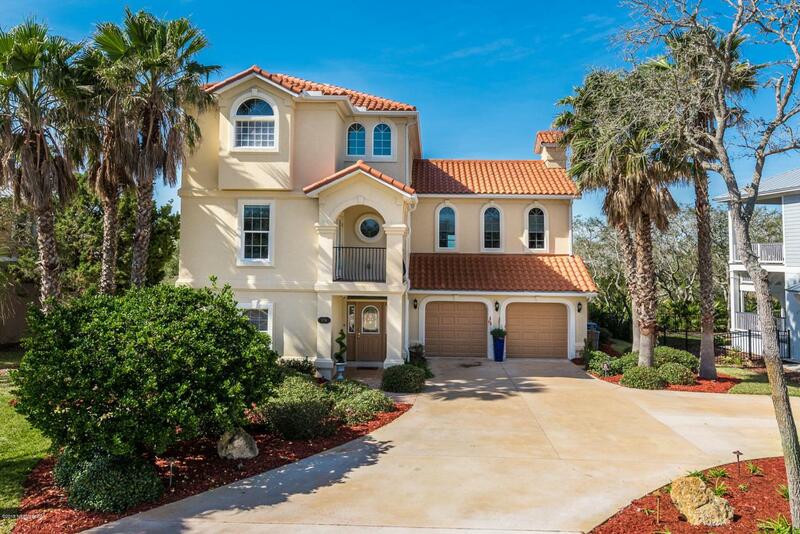 Gated community with paver walk to ICW. 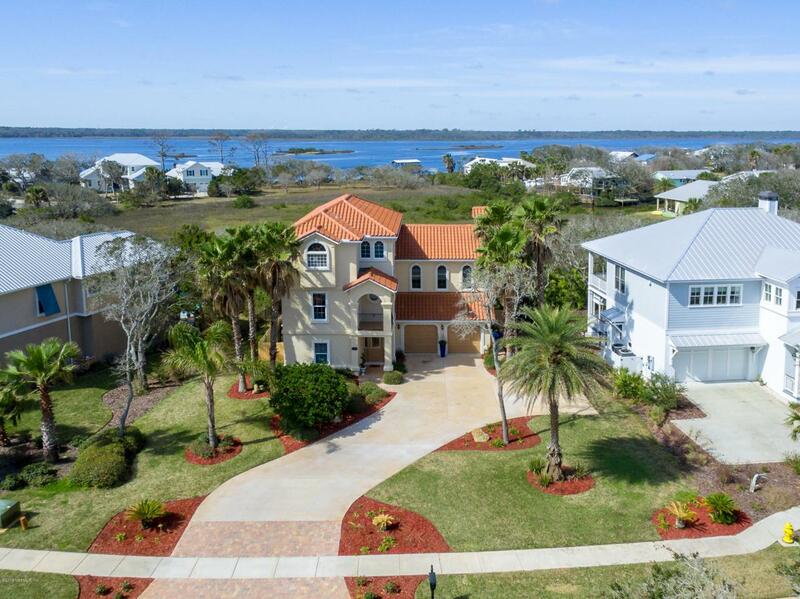 Great island location with close beach access, local restaurants, shops and a short drive to I-95!